Savannah had her last show of the year in the second weekend of November. 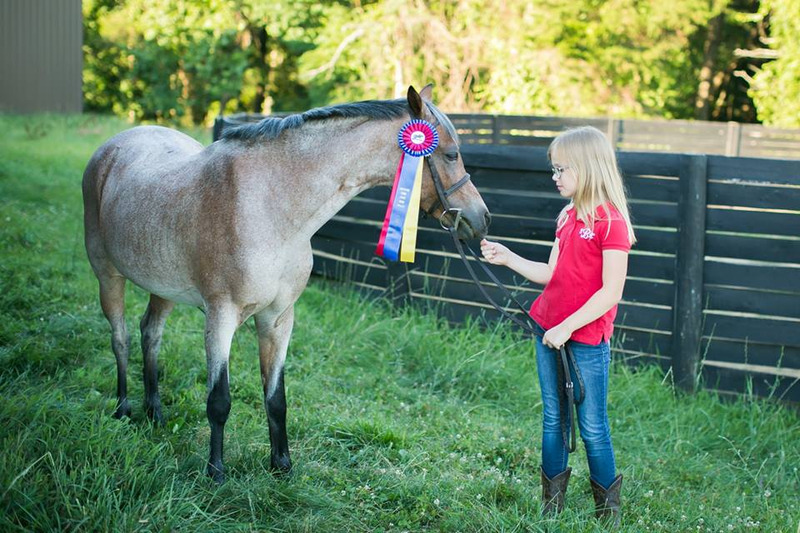 If your young rider participates in shows, you know that there isn’t really much of an off season in horse showing. Technically, the next show year starts December 1st, but our barn typically doesn’t show much (if any) over the winter months. We will enjoy this time off from showing to learn new skills, prep for a change in division next year, and save some money (haha, yeah right). I like to take a look back and see just how far we have all come over this past show year. It was Savannah’s second year showing. She has grown so much in the sport and I continue to learn a ton too. She competed in 12 horse shows this year, both local and rated. The goal of the year was to get her in as many different shows as we could at different locations. Her trainer wanted both her and her pony to see different rings and jumps and go up against all types of other kids and ponies. The more exposure she gets, the better prepared she will be in the future. Some shows were great and some were tough. Everything was a learning experience for us both. It is awesome to see your kiddo succeed and bring home some great ribbons, and it is so hard to see them struggle. I have never been more proud of her though. She bounced back after tough shows, focused at her lessons, and learned from her mistakes. I loved to see the passion and determination in her eyes. She is competitive by nature and is always pushing herself to be better. I learned so much this year too. It is a lot more enjoyable to watch the shows when you know what is going on and what the judges are looking for. I can tell if she is in the correct position in her under saddle classes and over fences. I know if she has picked up the correct lead and am able to count strides in the lines between jumps. I make sure to listen carefully at her lessons and ask questions if I have them. It has brought Savannah and I closer too, since I can speak her horse language. Her trainer has made the decision that Savannah is ready to graduate from short stirrup and go to a new division next year. She is so excited to jump bigger jumps and learn harder courses. I can’t wait to see what next year will bring for all of us.